Words cannot express how ecstatic my sisters and I are to be the very proud owners of these "four- of-a-kind" rings! We knew from the moment we first met you that we would be pleased with the final outcome and we are....we can't stop talking about them with each other and we can't stop looking at them! They truly are masterpieces. Only you know what they mean to us and we will be eternally grateful for this! We know our parents are looking down on us with big smiles on their faces. From the very bottom of our hearts....thank you! You are truly amazing! I wanted to take the time to thank you as well as commend you on the beautiful ring that you custom produced for me. As a celebration of my 10th year anniversary, I initially came in with some thoughts and ideas on how to remount my ring in a vintage style. Your first sketch seemed to be exactly what I wanted. You were patient, sincere and obviously extremely professional in absorbing all my thoughts and coming up with the perfect ring for me. The end product surpassed all my expectations. Thank you for creating such a beautiful representation of my marriage. I wish you the best of luck. You definitely have the abilities and personality to go far. I came to Laura with quite a big challenge: to transform earrings left to me by my sister-in-law and rings left to me by my Mom into one beautiful keepsake ring I could cherish and wear every day. Laura had about 60 diamonds of varying sizes to work with. 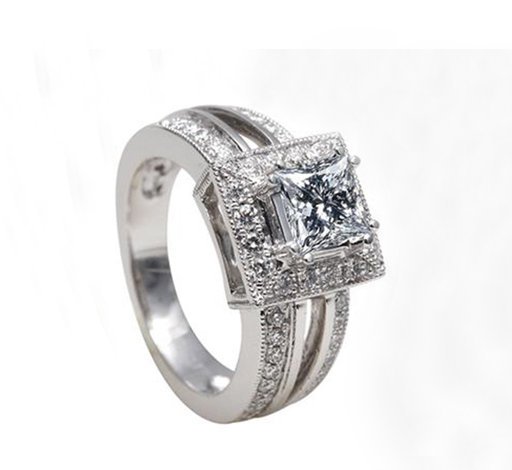 After much discussion with my husband, Bill, I also decided to include my engagement ring diamond in the design as the centrepiece. I approached Laura with some ideas. She listened to what I wanted and 2 weeks later, presented me with multiple designs to choose from. Together, we fine-tuned a final design and I excitedly waited to see the result. Working with Laura was easy. 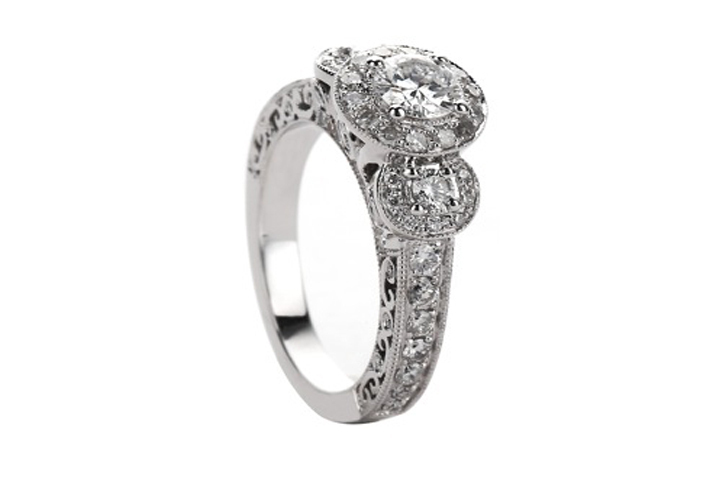 She sincerely listened to what I wanted and made some excellent suggestions for making the most of the diamonds. 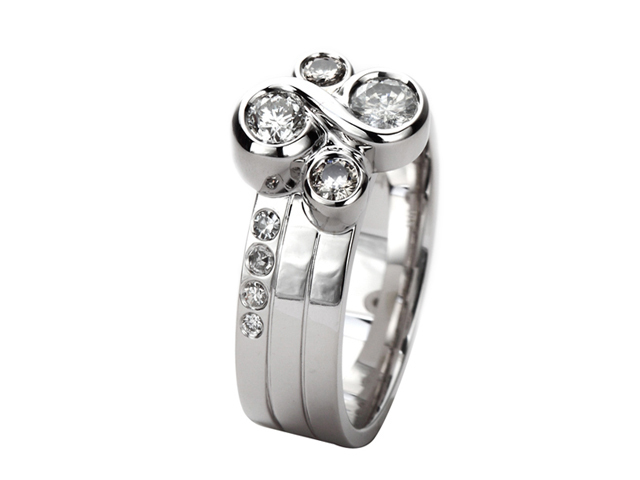 The finished ring is one-of-a-kind and noting short of exquisite! It exceeded my expectations and I receive many compliments on it. Once I saw the ring, I wanted my wedding band to match it. Once again, Laura designed the perfect piece. Both of these rings mean so much to me because they respresent some of the most special people in my life. Every time I look at them, I smile- and I have Laura to thank for that. 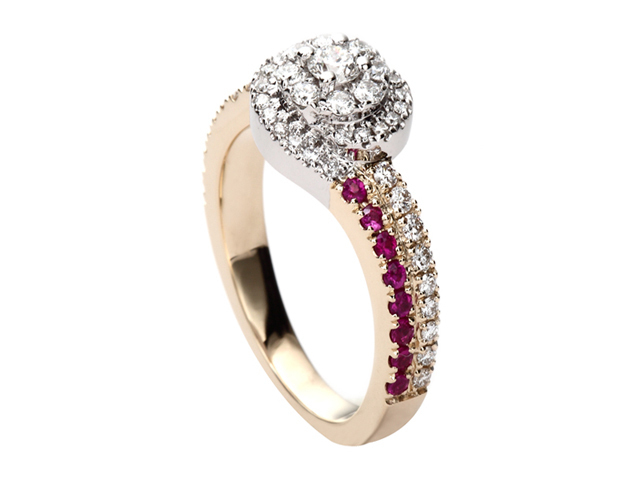 Laura, I would like to thank you for the beautiful creation you created from my 3 diamonds rings, one with rubies and one with sapphires which you put all into such a beautiful ring like I had never seen before. My family couldn't believe that my rings could be made into something so dainty and beautiful. Everyone who see's it just loves it. Thank you so much Laura for a beautiful ring to be proud to wear and pass onto my great grandchild. Thank you so much! 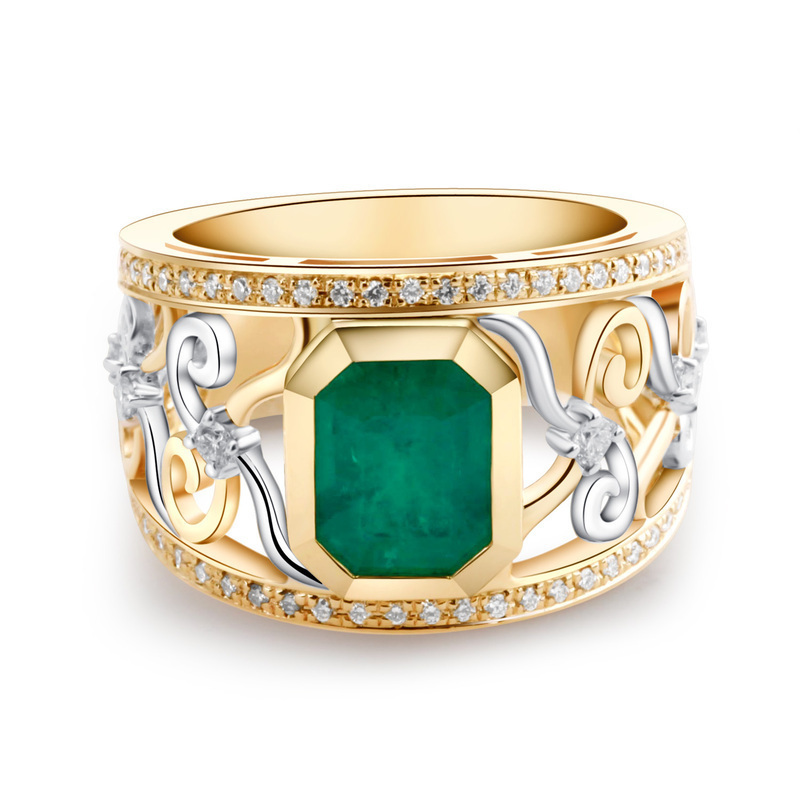 I just want to express my thanks and gratitude for the amazing work you did in designing my emerald ring. It is the most beautiful piece of jewellery I own and I will cherish it. You were an absolute pleasure to work with on this special project and I look forward to many more beautiful and unique Laura Tedesco designs in the future! I love jewelry. No matter what the occasion my husband always knows that something that sparkles always makes me happy. The sad thing was I had not worn my wedding rings (the most important pieces I had) in almost three years as the vintage settings had become so weak that I was afraid I would lose the stones. 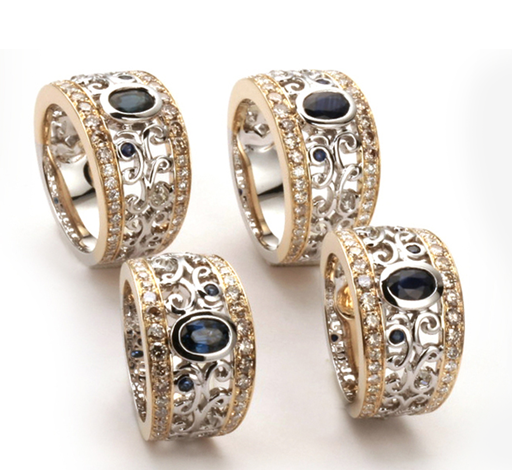 They sat in my jewelry box until I came across an ad for Laura Tedesco and saw that she specialized in jewelry restyling. With no idea what to expect my husband and I took my wedding rings along with a pair of diamond earrings and the promise ring he had given me when we were dating and went to see Laura. Right from the start she was warm and welcoming. She took our ideas into account and in no time at all Laura came up with two beautiful designs incorporating all of the stones. The design we chose was not only gorgeous but unique and truly symbolic of our love. However, what she put on paper was nothing compared to the incredible ring Laura had my husband place on my finger. I was completely overwhelmed by the brilliance of the stones in their stunning new setting. Laura Tedesco is an artist in every sense of the word as her vision surpasses anything we could imagine into reality. I will treasure this ring and everything it represents. 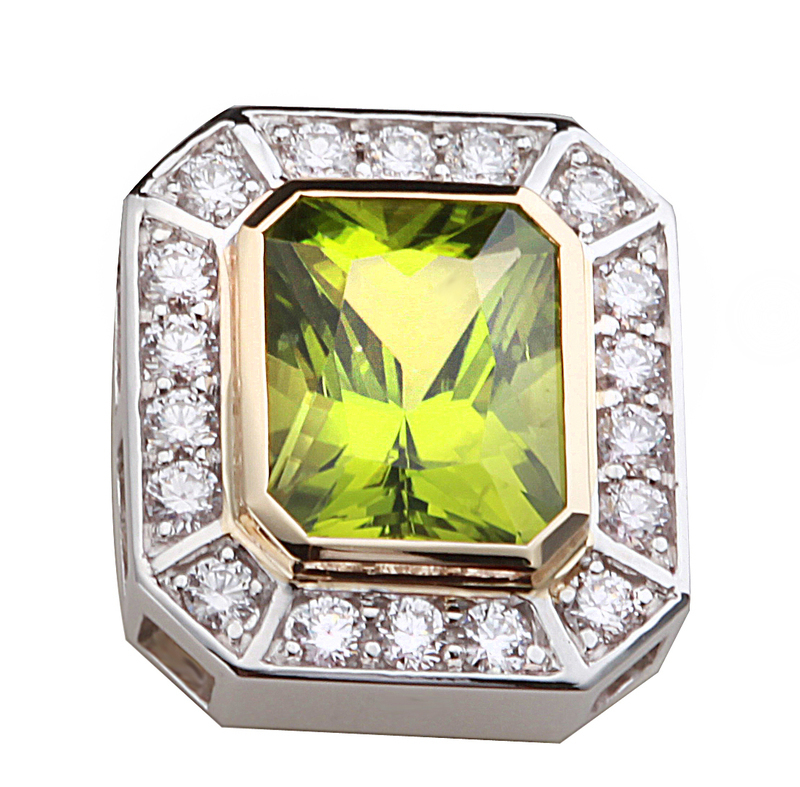 I just wanted to thank you again for creating such a beautiful ring for me. I was impressed with the way you were able to join together the stones from all three rings (mine plus the two family rings) into one unique ring. Not only is my new ring gorgeous to look at but it holds many wonderful memories of family members who are no longer with us. 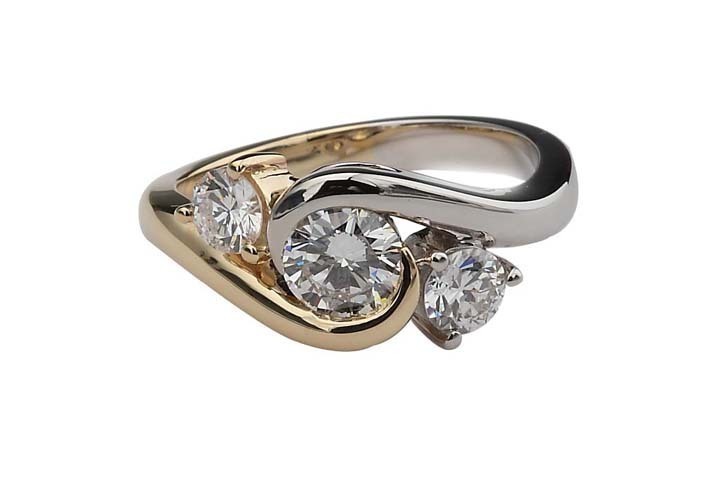 And, the setting is quite unique as well with its combination of white and yellow gold. It is something I will always treasure.It has been a pleasure to work with you. I am sure we will be seeing you again in the future. All our best wishes for your continued success. I am over the moon with delight with my gorgeous pendant! You created a timeless design that I was envisioning with your signature style and quality of luxury and excellence of your craft. Working to create this piece with you was an absolute delight. Your patient, punctual and so knowledgeable. I will gush about you when I receive compliments...often! Just a little note of appreciation for the thought you put into the design of my ring. 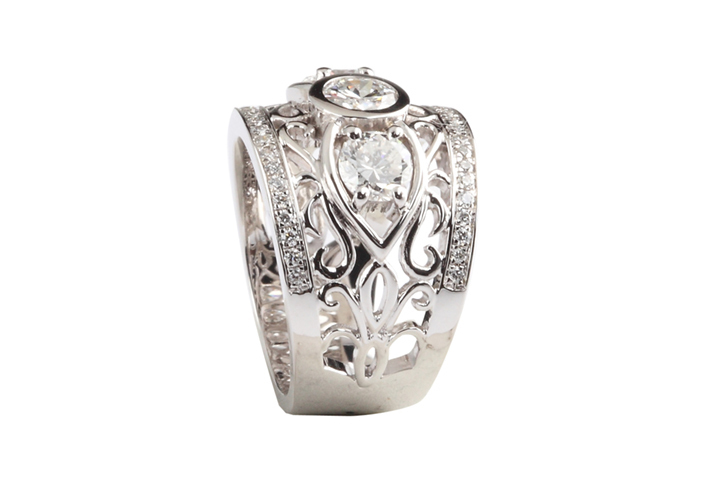 Your expertise and personality that you put into designing the ring clearly shows, and I have had many "wow' compliments. I would call it spectacular! I love it! Laura Tedesco's Designs are beautiful and exquisite.